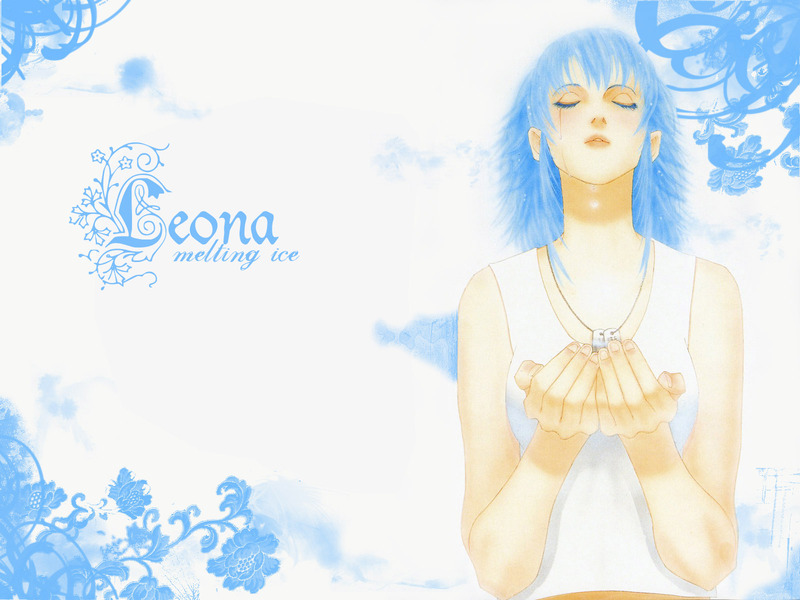 Leona. KOF has some great artwork. Water, smudges, blue and white. I've noticed most of the walls here go for a full-background, semi-realist look, but I like a more graphic simplicity too. yay more KoF wallapapers around here! leona is one of my favuorite characters so i'll have to pick this one up!